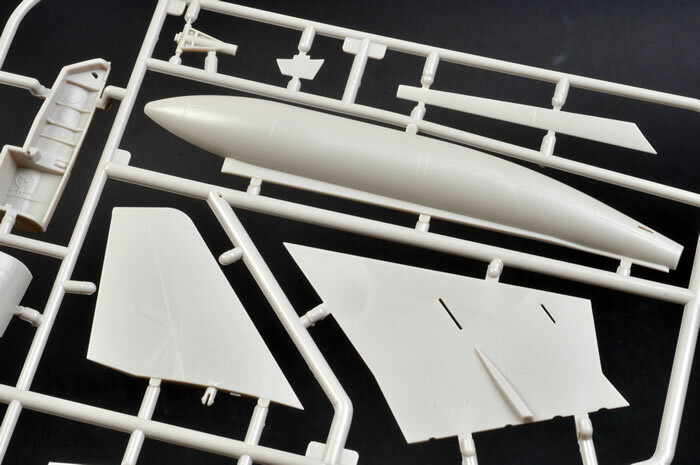 Contents and Media: Around 260 parts in grey plastic and 9 parts in clear; markings for two aircraft. 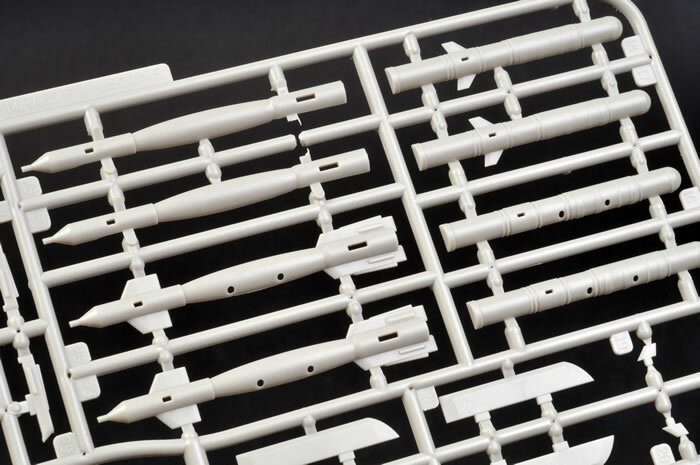 Advantages: Excellent detail; huge weapons options; clear canopies; nice etched metal detail. 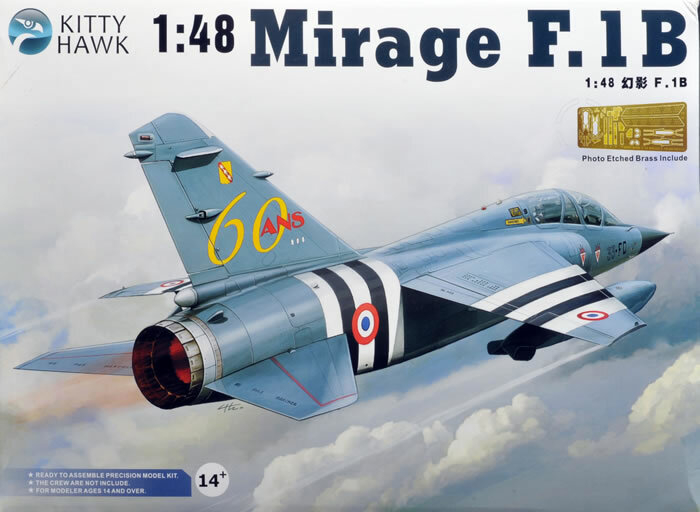 Kitty Hawk models is a relatively new manufacturer in the market with their first release last year of the F-94C Starfire, which was a nice and well detailed kit. 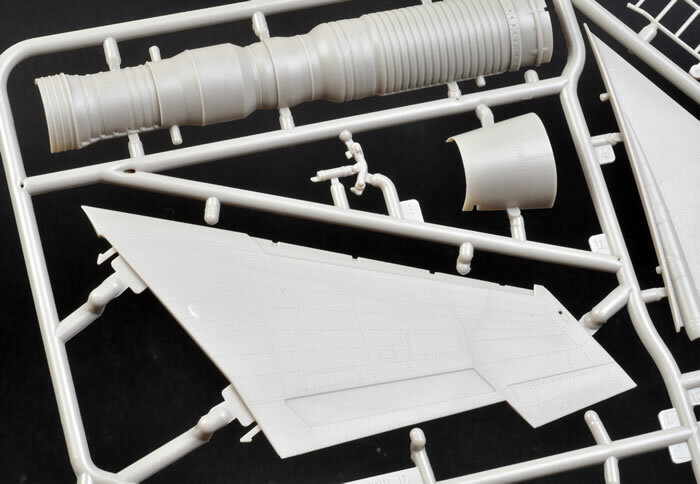 The company has learned a lot from that first release with their latest releases being the superb Sepecat Jaguar A and this kit the Dassault Mirage F.1B. 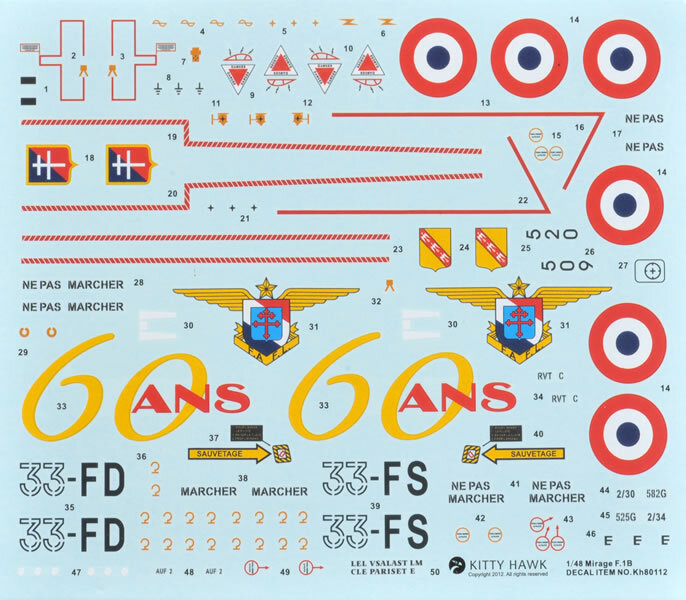 Prior to this release the only way to build an F.1B was to use the now hard to get multi-media kit from Fonderie Miniatures which was a difficult kit to build and not for beginners. 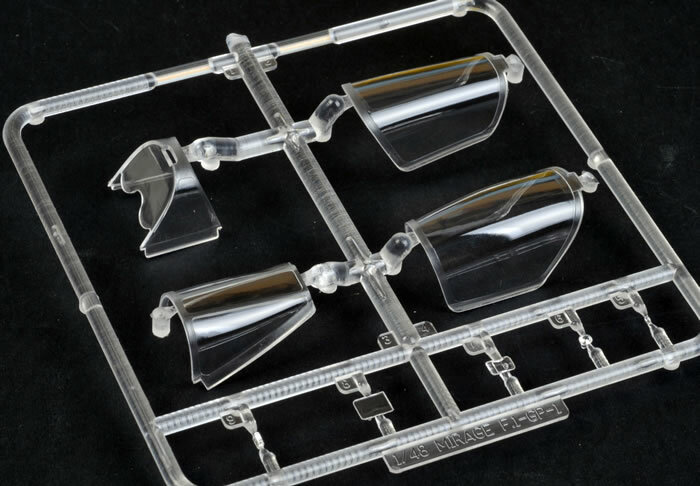 This new kit from Kitty Hawk is excellent and represents a huge step up in quality and detail as the company gains experience. 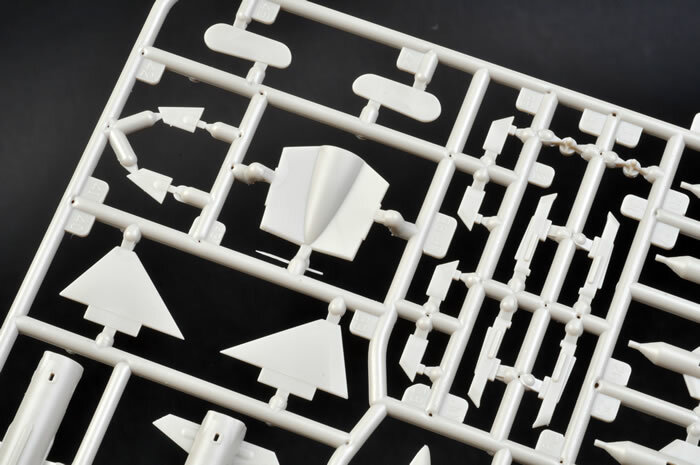 This kit contains approximately 260 light grey injection moulded parts, 9 clear injection moulded parts and 22 etched metal parts. 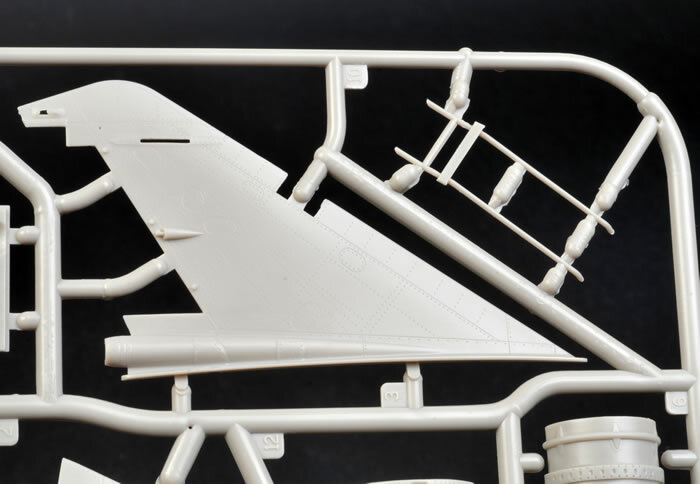 The detail on the plastic parts is excellent with the cockpit being enhanced by etched metal instrument panels and side consoles. 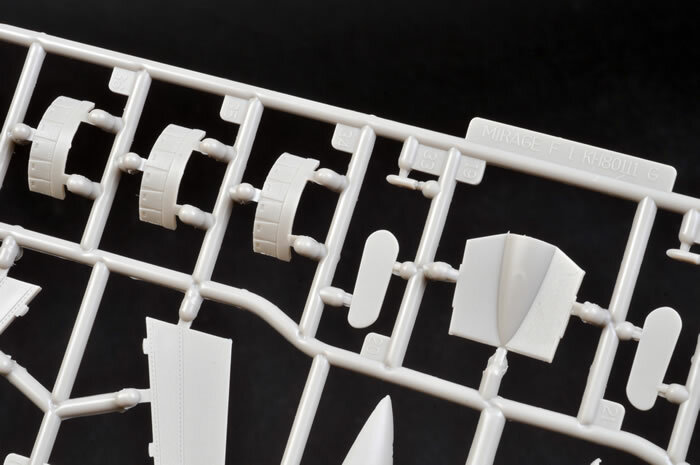 No less than 32 parts make up the cockpit detail and should suffice for most modellers. Etched metal seat belts and plastic ejection seat handles enhance the ejection seat detail. 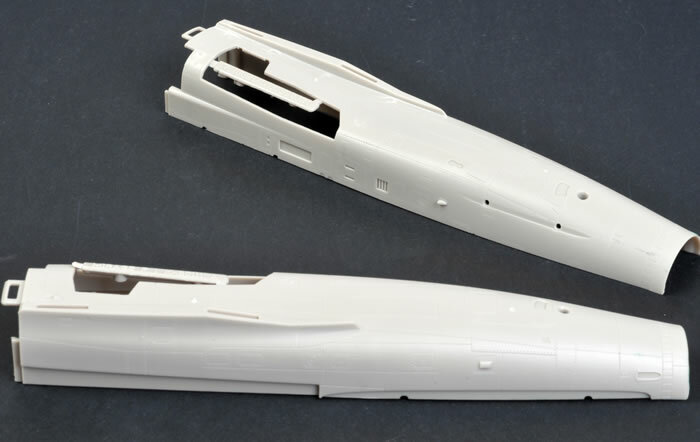 The wheel wells contain good structural detail along with some hydraulic pipe detail as well. A full engine is included with detailed compressor blades and compressor guide vanes with the electro turbo starter attached. 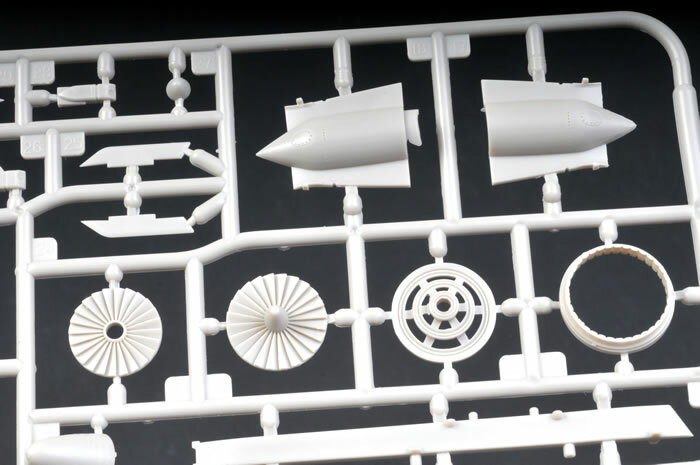 A complete after burner is moulded as part of the engine. 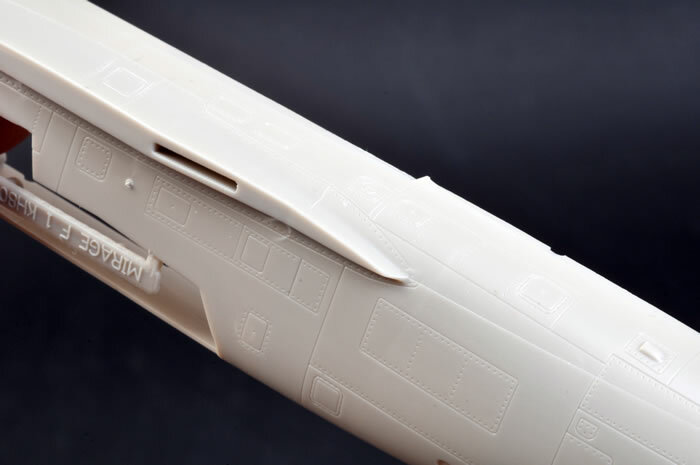 This has nicely moulded after burner liners moulded to the inside halves of the engine along with detailed turbine blades and afterburner flame holder rings. A fully open exhaust aperture made from four parts completes the after burner detail. 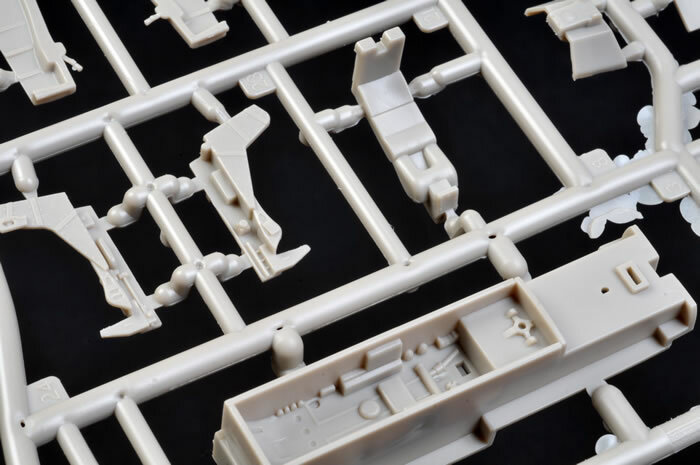 The undercarriage detail and wheels are excellent and KittyHawk has not missed the detail on the inside of the undercarriage doors, something many other manufactures leave out or have ugly mould knock out pin marks in the middle of the detail. 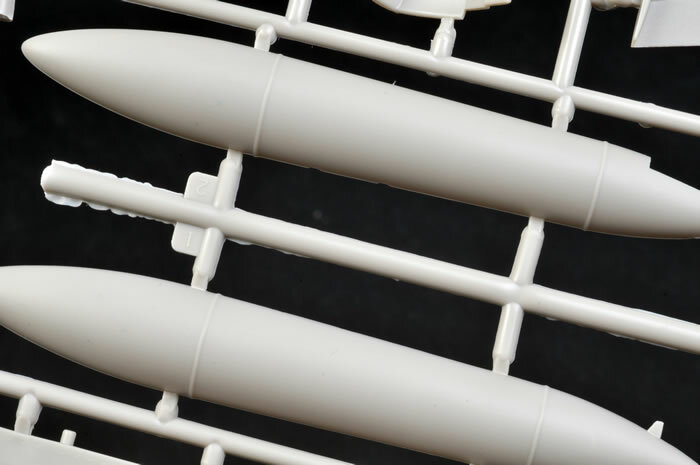 This company has been very smart and strategic in the placement of knock out pin marks, any visible can be removed easily without damage to the detail. 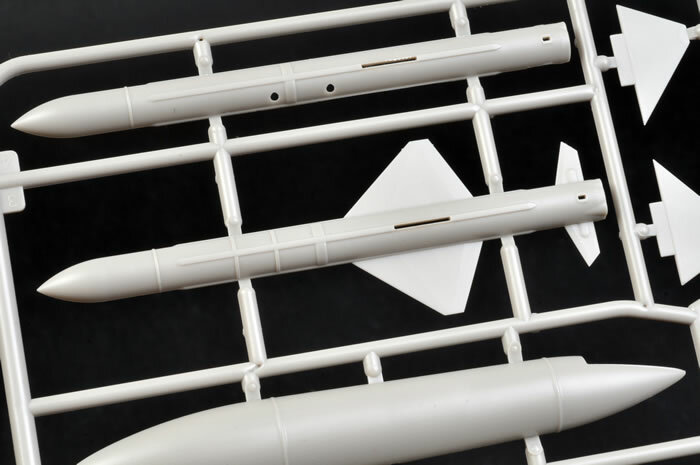 The surface detail on the kit is finely engraved, not overdone and appears to be very accurate. 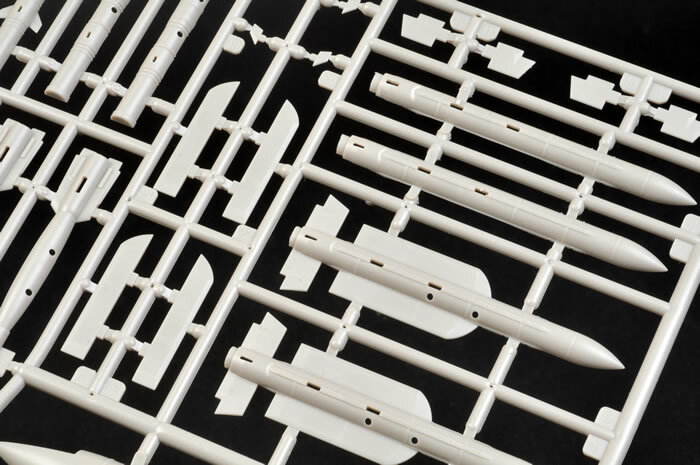 Separate flaps and leading edge slats are provided separately allowing these to be positioned in the dropped position. 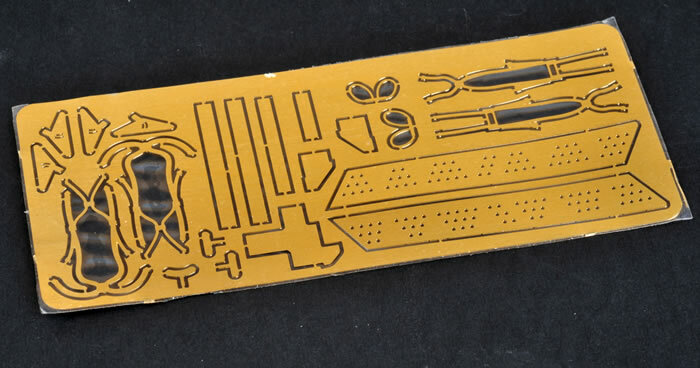 Etched metal spoilers are provided and these have very nicely etched perforations that will represent the real thing. The speed brake wells have very nice detail and the speed brakes themselves have nicely moulded perforations but the instructions have them fixed in the closed position and strangely with no actuators provided to display them open. 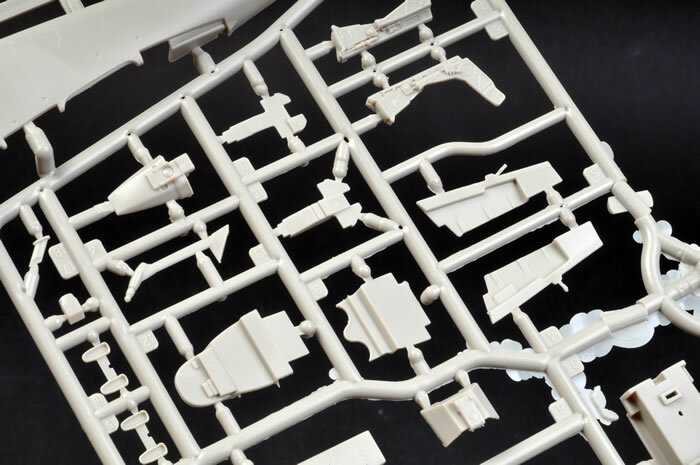 The canopy parts are separately moulded and are crystal clear, they should be easy to mask and paint as the frame lines are clearly defined. 2 x Python Air to Air missiles (Israeli)? 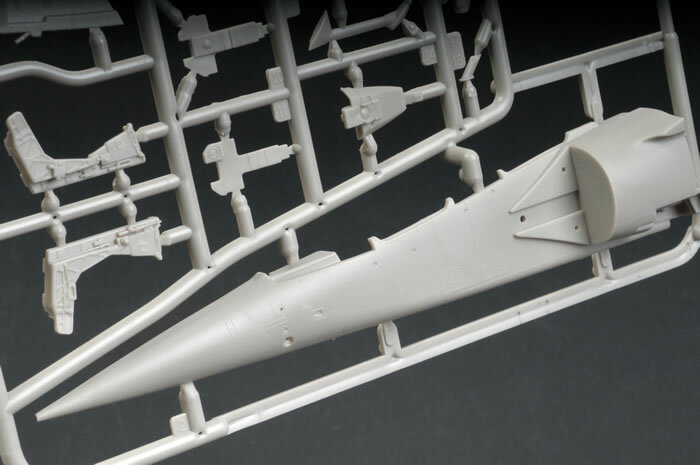 6 x practice bombs/missiles and carriers? 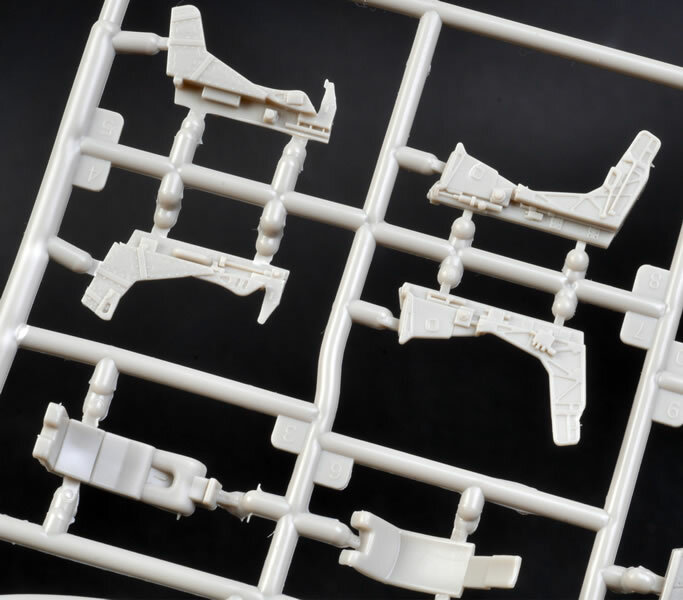 It is obvious that KittyHawk are covering a range of future releases with the weapons sprues and will boost everyone’s spares collection for weapons. 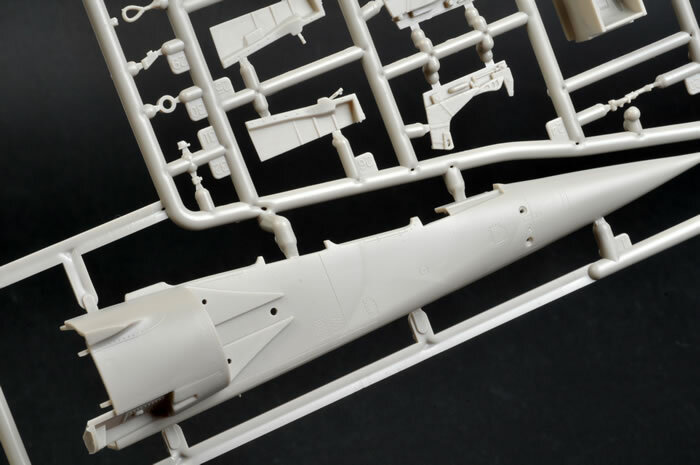 Also many of the parts in the kit are for other versions of the Mirage F.1 including the F.1C single seat version. 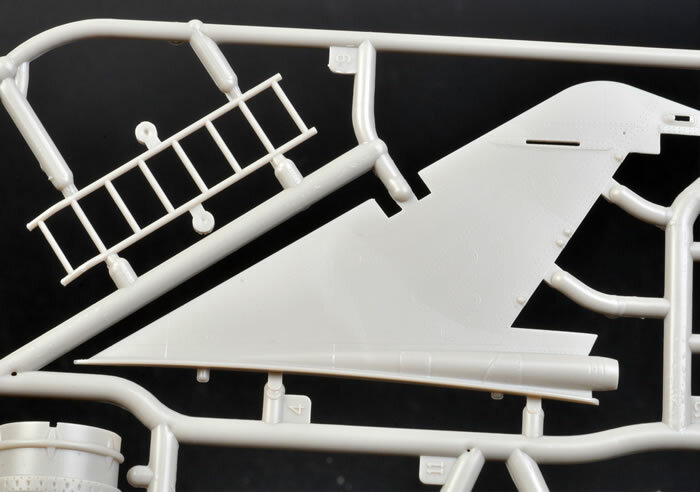 Finally a boarding ladder is also provided to finish the kit off. Mirage F.1B 33-FS with the fin totally painted blue, red and white with a large crest. Both aircraft are finished in blue and silver. 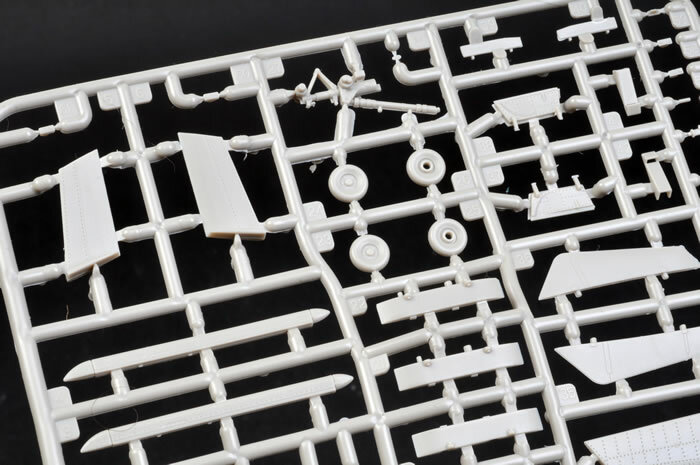 Overall this kit is superb and packed with parts and detail. 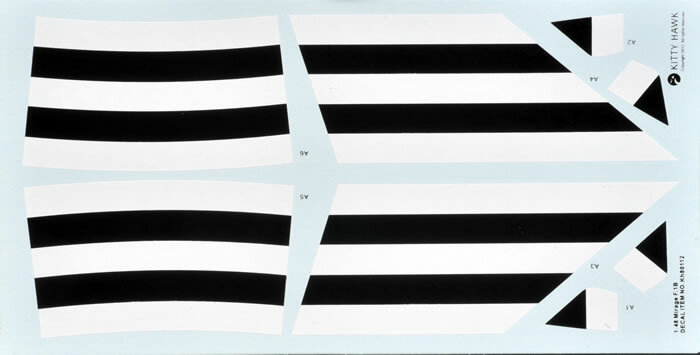 It is very difficult to find anything negative with the kit, my only nit pick being around the colour reference in the instructions being a bit light on. I would recommend that you check references for painting but I usually do this anyway.